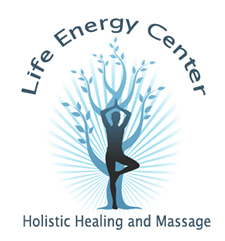 If you are suffering from pain and stress, no matter the cause, I can help you by delivering nature’s purest therapies through modern technology. These therapies are safe, natural, time-proven, and effective. While the majority of my clients have chronic or serious, complicated health issues, my additional attention to their overall wellness significantly raises their quality of health and life. For twenty years, I have helped my clients become pain free and feel younger, healthier and happier. The therapeutic systems I employ have produced consistent, effective results. My work with acute and chronic problems has provided relief to clients to whom a future of pain or ill-health seemed the only scenario. Metabolism + Energy + Nutrition + Detoxification = Health. These are factors in your life, that when kept in balance, mend your body and keep you vital and healthy. I hope you will allow me to dramatically improve the quality of your life. I look forward to that opportunity. I've been to many practitioners trying to get relief from chronic fatigue and from severe thigh pain. Dr. Ari gave me the quality care and personal attention I needed to get well. Dr. Ari helped transform my life! I turned a complete 180 degrees after my sessions with him, after experiencing chronic allergies, etc. for years. He won't waste your time, & will treat you in a light-hearted, compassionate space. He has numerous tools to help meet your specific needs. Thank you, Dr. Ari! !